Nick Crafts can be viewed as the doyen of British economic history. His major publications date back to the 1970s – a favorite of mine is this piece from 1977 on the role played by chance in determining whether the Industrial Revolution would occur in England or France. He is also the joint author of the Crafts-Harley interpretation of the Industrial Revolution. But, perhaps because the majority of his research focuses on British economic history, he remains highly underrated outside of the UK. His new book Forging ahead, falling behind and fighting back: British economic growth from the industrial revolution to the financial crisis summarizes much of his research. I’ve reviewed it for the Economic History Review. But given the whims of academic publishing, it may be a long time until my review appears in print so I’ve decided to post a preview of my draft below. Why was Britain the first industrial nation and the workshop of the world? Why was it eventually caught up and overtaken? Why once it had fallen behind the United States, did it fall further behind its European rivals in the Post-War period? And how did it recover its relative position in the 1980s and 1990s? All these questions are addressed in Nicholas Crafts’s slim new book. In Forging ahead, falling behind and fighting back, Crafts provides a macroeconomic perspective on the British economy from 1750 to today. The word macro is advisory. Crafts surveys the British economy from 1000 feet, through the lens of growth theory and growth accounting. The upside of this approach is that he delivers a lot of insight in a small number of pages. Readers looking for discussions of individual inventors, innovations, politicians, or discussion of specific policy decisions can look elsewhere. The first part of the book provides an overview of the Crafts-Harley view of the British Industrial Revolution. This view emphasizes the limited scope of economic change in the early 19th century. On the eve of the Industrial Revolution, the British economy already had a comparatively modern structure, with many individuals working outside agriculture. Growth between 1770 and 1850 was highly reliant on a few key sectors and TFP growth was modest (0.4% a year). Most workers remained employed in traditional sectors of the economy. It took until the second half of the 19th century for the benefits of steam, the general purpose technology of the age, to fully diffuse through the economy. Nonetheless, from a long-run perspective, the achievements of this period, a small but sustained increases in per capita GDP despite rapid population growth, were indeed revolutionary. An important theme of the book is institutional path dependency. Characteristics of Britain’s early position as an industrial leader continued to shape its political economy down to the end of the 20th century. Crafts mentions two interesting instances of this. First, Britain’s precocious reliance on food imports from the early 19th century onwards left a legacy that was favorable of free trade. Elsewhere in the world democratization in the late 19th century often led to protectionism, but in Britain, it solidified support for free trade because, after the expansion of the franchise, the median voter was an urban worker dependent on cheap imported bread. Second, industrial relationships were shaped the nature of the economy in the 19th century. Britain thus inherited a strong tradition of craft unions that would have consequences in conflicts between labor and capital in the 20th century. The second part of the book considers the late Victorian, Edwardian, and inter-war periods. It was in the late 19th century that the United States overtook Britain. A venerable scholarship has identified this period as one of economic failure. Crafts, however, largely follows McCloskey in exonerating Edwardian Britain from the charge of economic failure. The presence of fierce competition limited managerial inefficiencies in most areas of the economy; though there were notable failures in sectors where competition was limited such as the railways. The main policies errors in this area were thus ones of omission rather than commission: more could have been done to invest in R&D and support basic science – an area where the US certainly invested in more than the UK. The seeds of failure, for Crafts, were sown in the interwar period. 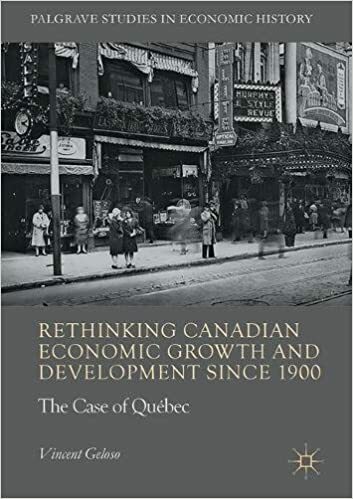 Traditionally these years have been viewed relatively favorably by economic historians, as the 1930s saw a shift away from Industrial Revolution patterns of economic activity and investment in new sectors. However, in a comparative light, TFP growth in the interwar period was significantly slower than in the US. The new industries did not establish a strong export position. This period also saw the establishment of a managed economy, in which policymakers acceded to a marked decline in market competition. Protectionism and cartelization kept profits high but at a cost of long-run productivity growth that would only be fully revealed in the post-war period. 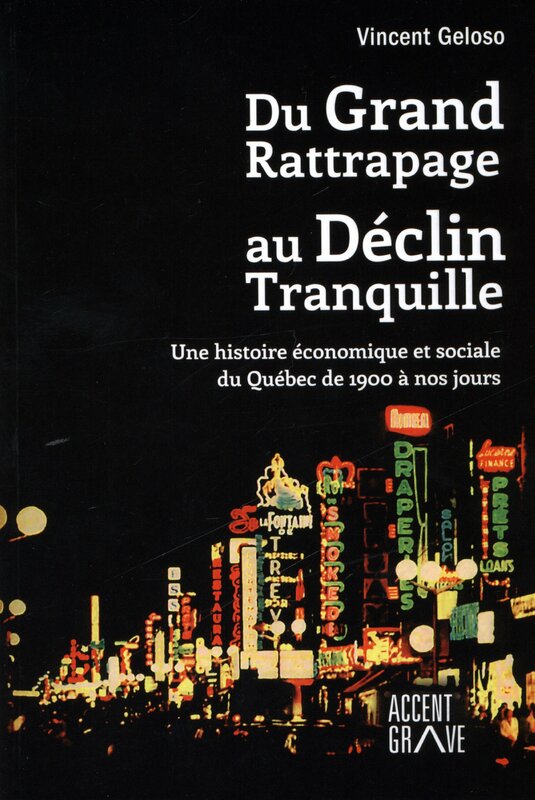 Most economic historians view the postwar period through the lens of Les Trente Glorieuses. But in Britain, it has long been recognized that this was an era of missed opportunities. Simple growth accounting suggests that Britain underperformed relative to its European peers. Thus though the British economy grew faster in these years than in any other period; it is in this period that Britain’s relative failure should be located. Crafts examines this failure using insights from the literature on “varieties of capitalism” which contrasts coordinated market economies like West Germany with liberal market economies like the United States or Britain. In the favorable conditions of postwar recovery and growth, coordinated market economies saw labor cooperate with capital enabling both high investment and wage restraint. Britain, however, lacked the corporatist trade unions of France or West Germany. As a legacy of the Industrial Revolution, it inherited a diverse set of overlapping craft unions which could not internalize the benefits of wage restraint and often opposed new technologies or managerial techniques. Britain functioned as a dysfunctional liberal market economy, one that became increasingly sclerotic as the 1960s passed into the 1970s. An important insight I got from this book is that government failure and market failure are not independent. Examples of government failure from the postwar period are plentiful. Industrial policy was meant to “pick winners.” But “it was losers like Ross Royce, British Leyland ad Alfred Herbert who picked Minsters” (p. 91). Market power became increasingly concentrated. Approximately 1/3 of the British economy in the 1950s was cartelized and 3/4 saw some level of price fixing. Britain’s exclusion from the EEC until the 1970s meant that protective barriers were high, enabling inefficient firms and managerial practices to survive. High marginal rates of taxation and weak corporate governance encouraged managers to take their salary in the form of in-kind benefits, and deterred innovation. Labor relations became increasingly hostile as the external economic environment worsened following the end of Bretton Woods. Britain recovered its relative economic position after 1979 through radical economic reforms and a dramatic shift in policy objectives. Though of course, the Thatcher period saw numerous missteps and policy blunders, what Crafts argues was most important was that there was an increase in product market competition, a reduction in market distortions, and a reduction of trade union power, factors provided the space that enabled the British economy to benefit from the ICT revolution in the 1990s. Rarely does one wish a book to be longer. But this is the case with Forging Ahead, Falling Behind, and Fighting Back. In particular, while a short and sharp overview of the Industrial Revolution is entirely appropriate, given the number of pages written on this topic in recent years, the last part of the book does need extra pages; the argument here is too brief and requires more evidence and substantive argumentation. One wishes, for instance, that the theme of institutional path dependency was developed in more detail. Despite this, Forging Ahead, Falling Behind, and Fighting Back is a notable achievement. It provides a masterly survey of British economy history tied together by insights from economic theory.